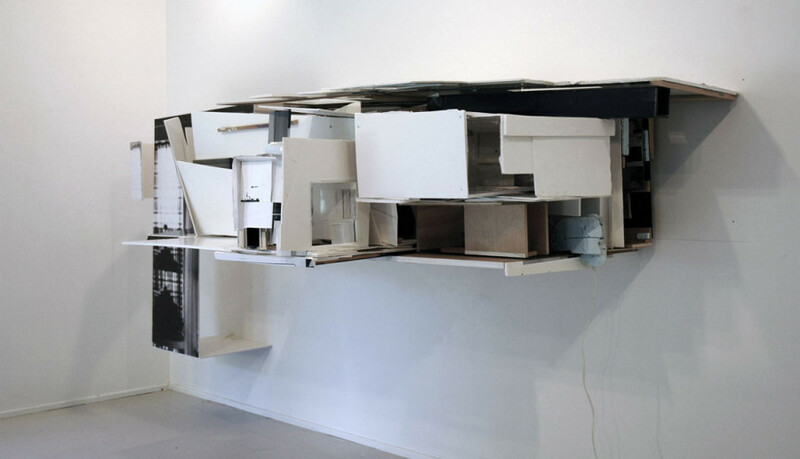 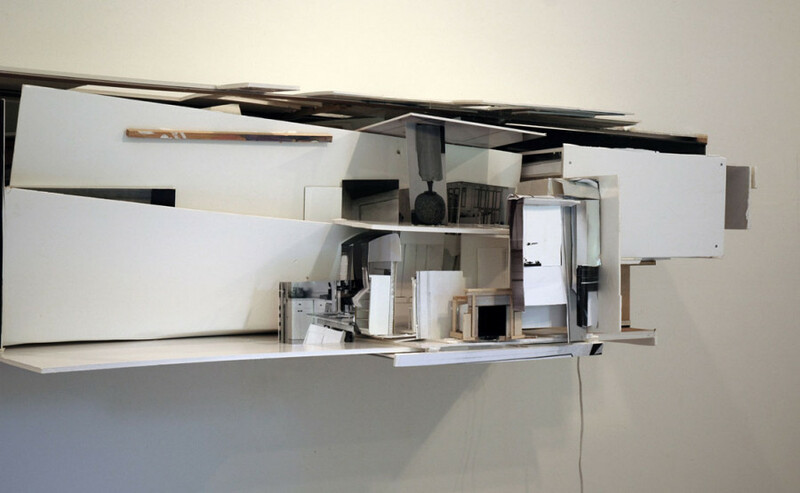 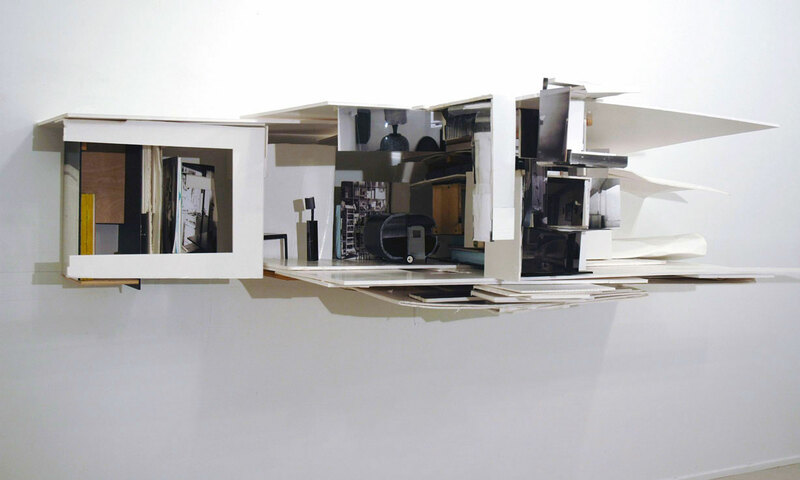 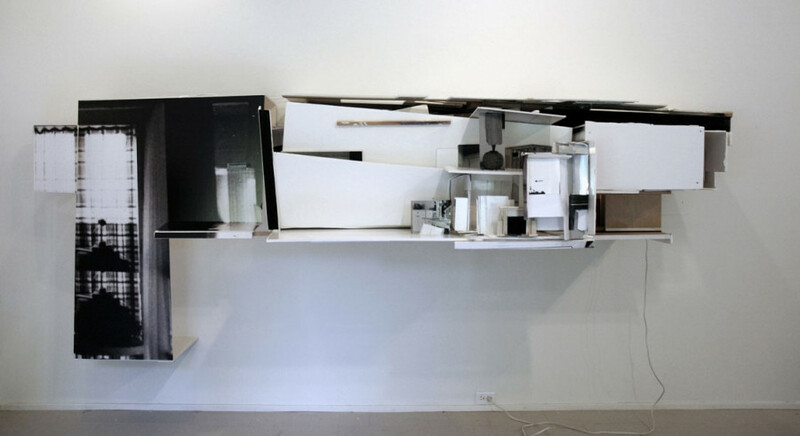 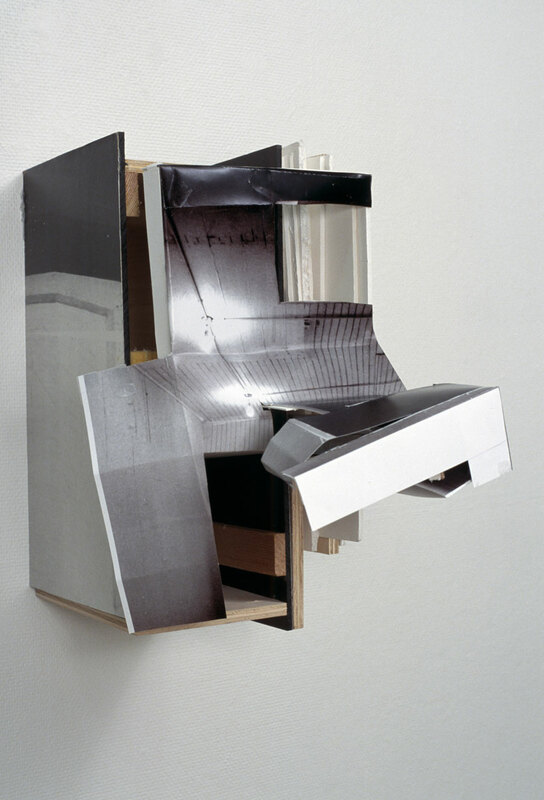 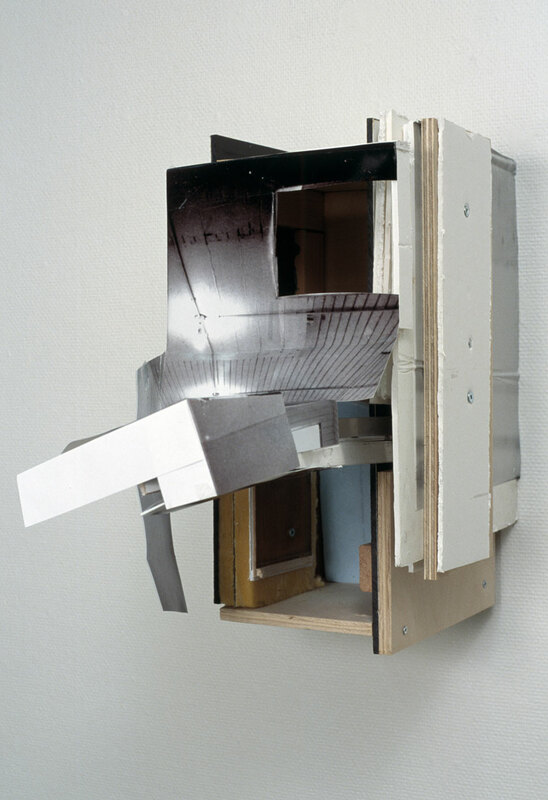 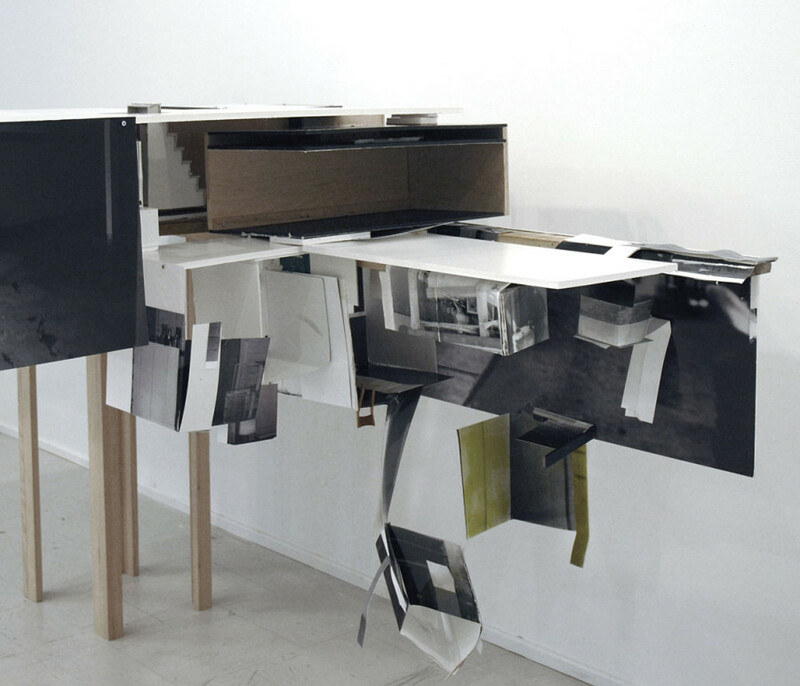 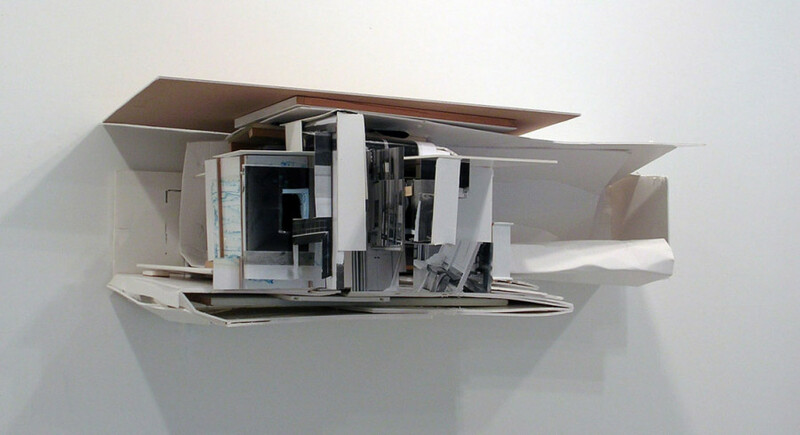 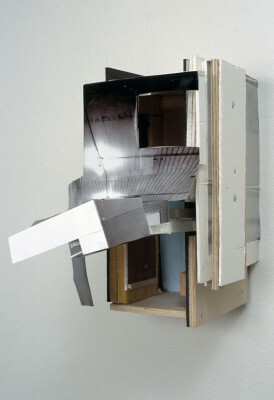 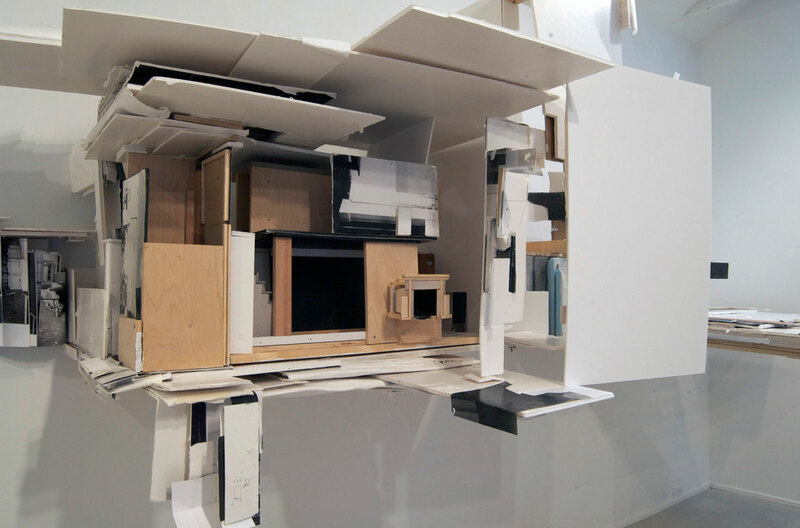 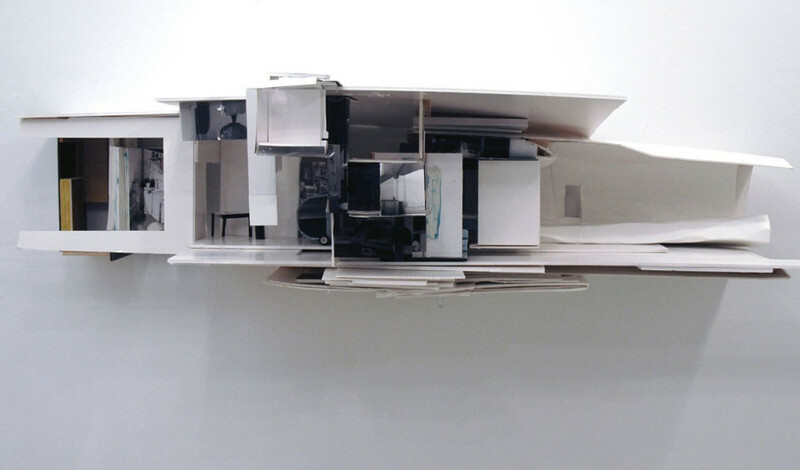 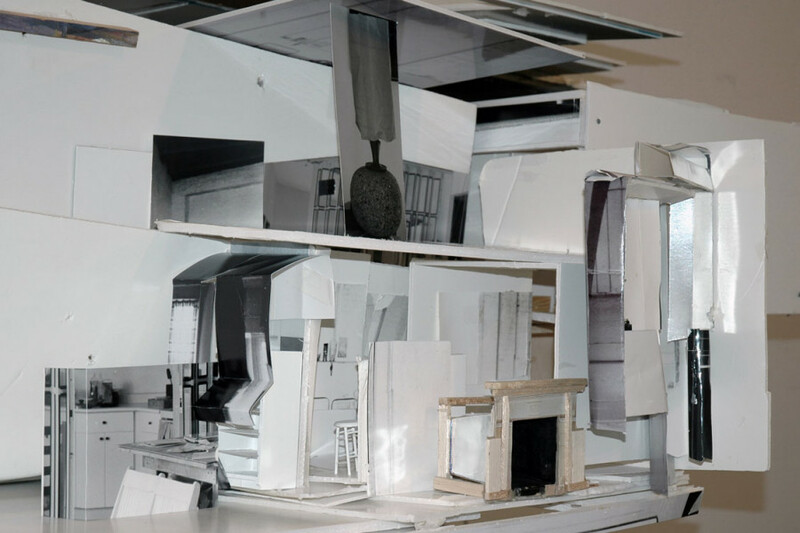 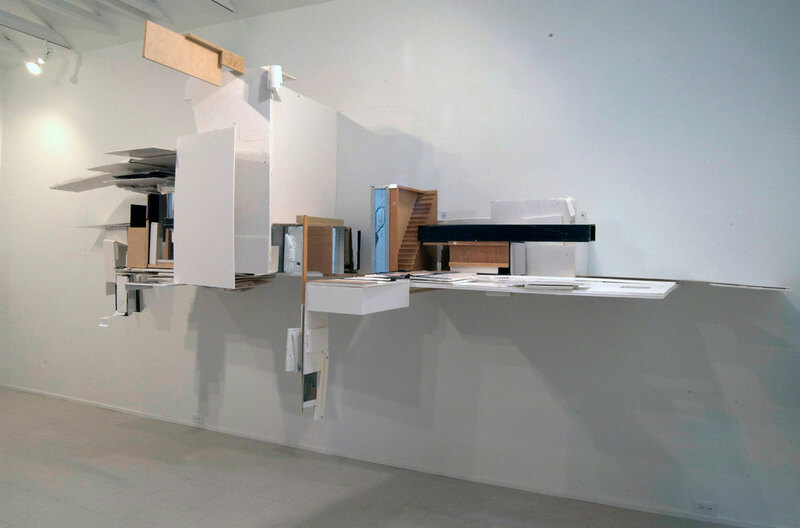 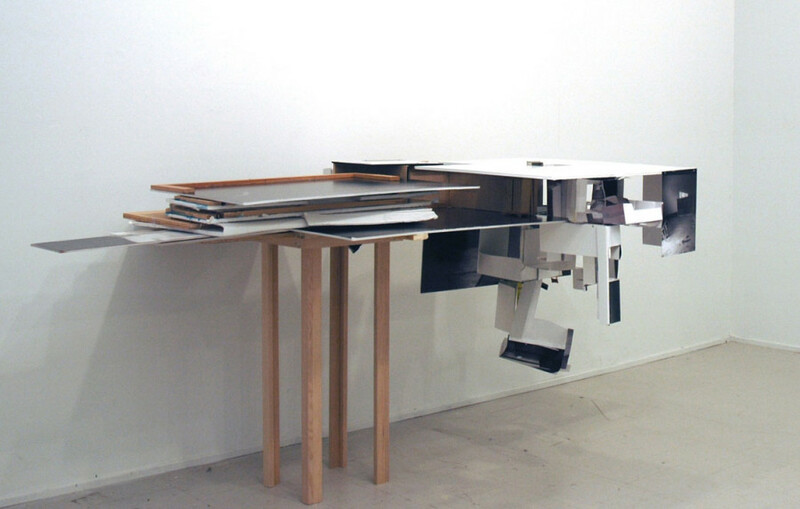 “Gammon’s work — which appears at first to consist of a chaotic black-and-white jumble of imprecisely arranged slices of gleaming foam core, shards of photography and a few bits of architectural modelling (punctuated with bits of doll-house furniture) — soon settles out into clearly improvised but deftly controlled assemblages that lie somewhere between built and derelict environments. 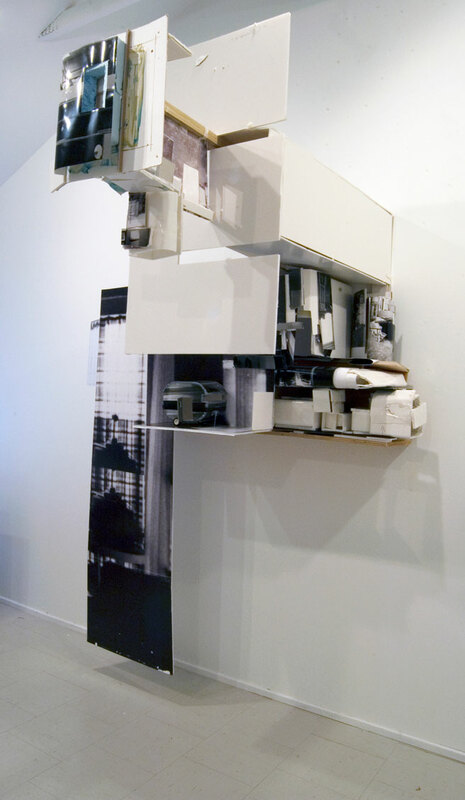 Persuasively architectural (so enterable and enclosure-like are these ad hoc forms) and yet so vulnerable and abject, Gammon’s structures, built as a performance and photographed before their disassembly, exist mostly as memory, as hypothesis, as a ghostly echo of the building act itself….If you give them only a cursory glance—which is difficult to do, because of the degree to which they are conjunctive and visually incorporating (“incorporating” in the more or less literal sense of folding the body into their enterable complexities)—you are likely to find yourself deeply, haptically, viscerally engaged in the architectural-sculptural-constructivist push-pull of the pieces. As simultaneously remote and yet, as hyper-present as architectural models (a reading underscored by Gammon’s plentiful use of black-and-white photos of architectural details, and wayward bits of white dollhouse furniture), her large, apparently ad hoc, wall-mounted constructions hover between states, resting momentarily and energetically, as curator McCormick notes in her essay accompanying the exhibition, “between object and process.” Gary Michael Dault, Globe and Mail, 2007. 50”w X 24” h X 44”d; paper, cardboard, foam core, photographs, wood. 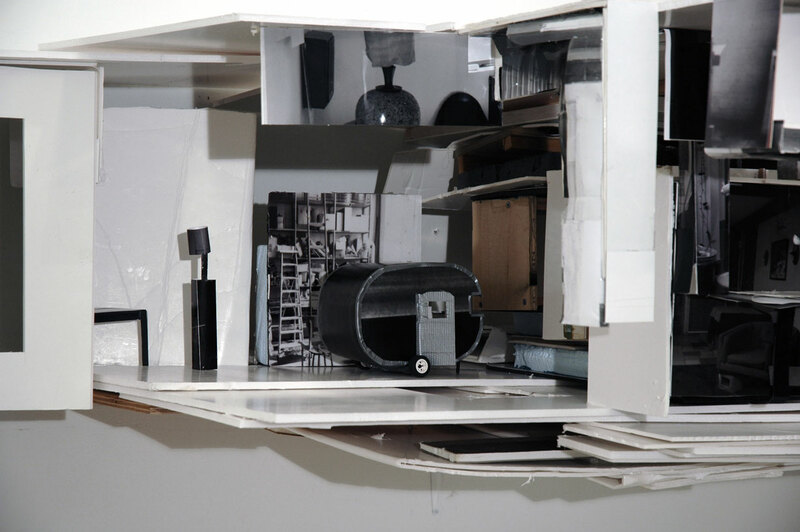 144”w X 56” h X 54”d; paper, cardboard, foam core, photographs, wood, lamp. 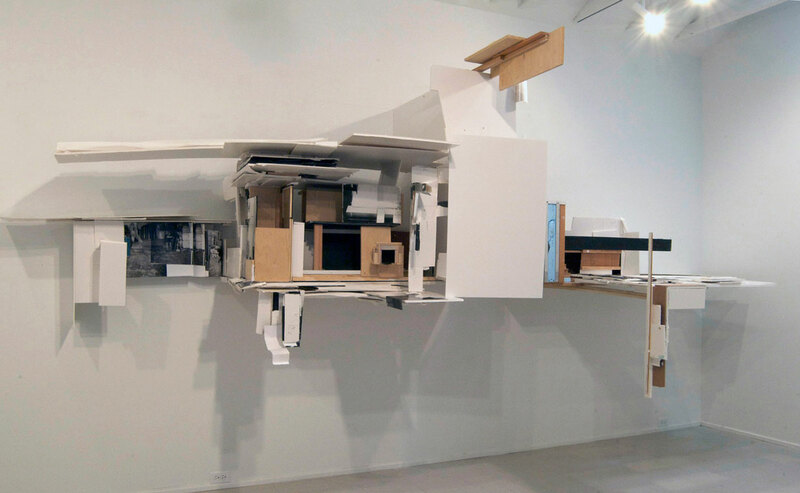 118”w X 47” h X 54”d; paper, cardboard, foam core, photographs, wood. 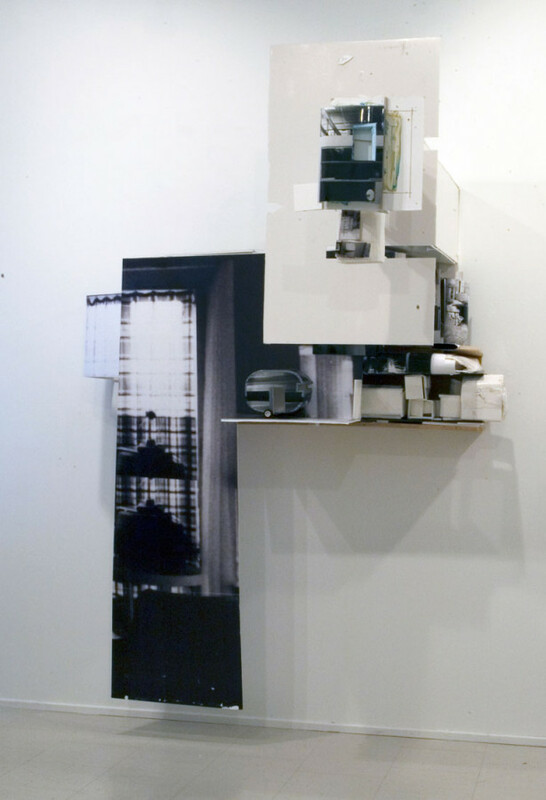 126”w X 26” h X 57”d; paper, cardboard, foam core, photographs, wood. 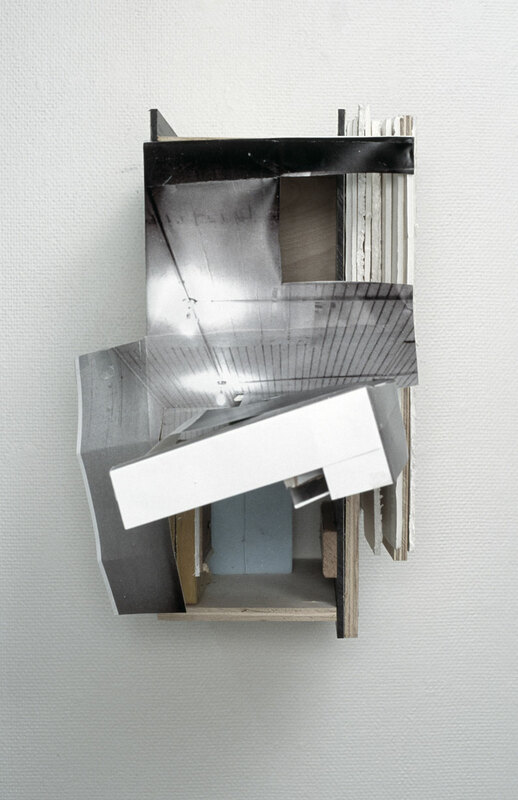 63”w X 90” h X 60”d; paper, cardboard, foam core, photographs, wood.